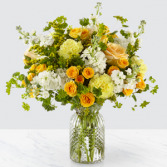 SET TO CELEBRATE BIRTHDAY BOUQUET is ready to take their birthday celebration to the next level with a bright burst of color and perfectly arranged fresh blooms! 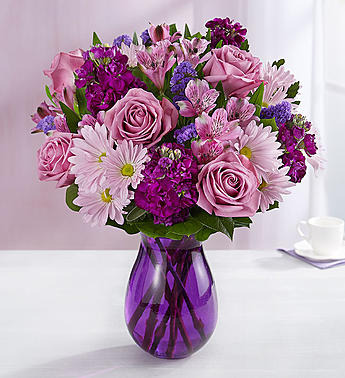 Popping with personality and style. 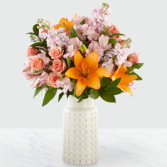 Presented in a modern rectangular orange ceramic vase tied with a polka dotted orange ribbon to give it the look of a birthday present, this flower arrangement is then accented with a "Happy Birthday" pick to give it that ultimate party style.